It's been a while since I posted, sorry about that. I've had a very busy summer. Along with this news, Rockstar has decided to consolidate upcoming DLC's and to include some other DLC's into a smaller package (and cheaper). Previously, Rockstar announced the "New York Minute CO-OP Pack" as well as the "Trickle Down Economics Map Pack". All content that was intended to be included in the "New York Minute CO-OP Pack" will be included in the "Deathmatch Made In Heaven Mode Pack". It is unclear which DLC will include the content intended to be in the "Trickle Down Economics Map Pack", but it will be one of them announced above. 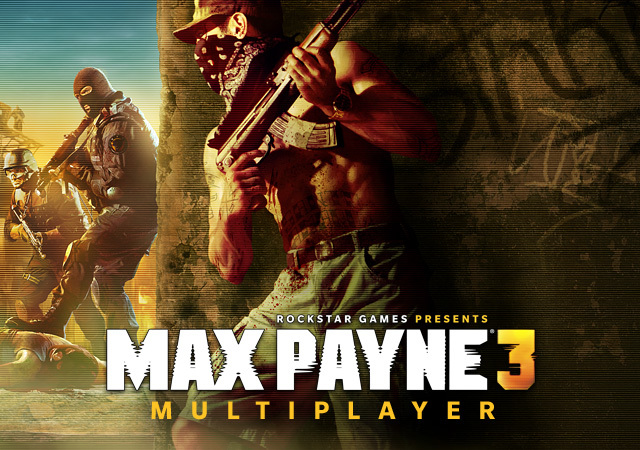 The free Disorganized Crime Pack for Max Payne 3 lets you to battle above the streets surrounding Max�s old apartment in the new Hoboken Rooftops multiplayer map. This pack also includes several new modifiers for Score Attack in Arcade Mode including Explosive Rounds where all your bullets detonate on impact, Lone Wolf AI for much more aggressive enemies and Headshots Only where the only way to kill your enemies is with a bullet in the head. Owners of the Max Payne 3 Rockstar Pass still gain access to all Max Payne 3 DLC at a 35% savings over the cost of purchasing individual packs. The Rockstar Pass is available now for the one-time cost of 2400 MS Points on Xbox LIVE or $29.99 on PlayStation Network and PC. What DLC are you most interested in? Let us know in the forums!